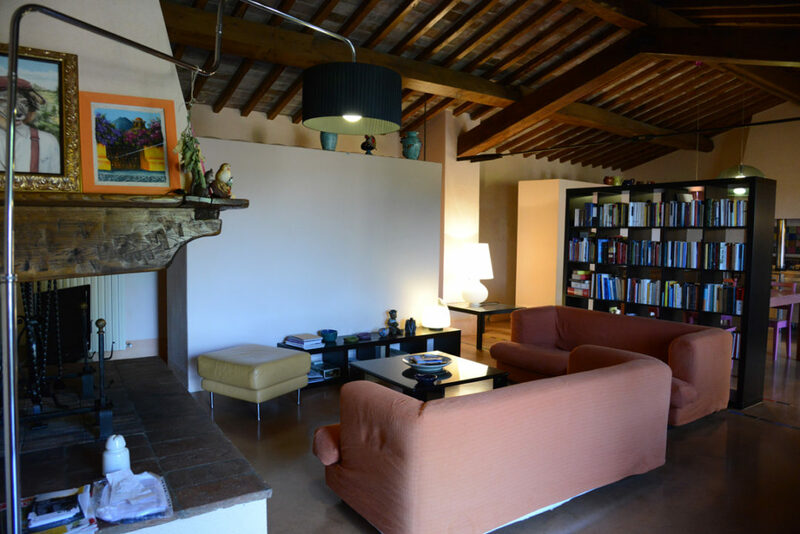 NOCINI DI MAREMMA has a familiar and relaxing atmosphere. Antonietta and Simonetta, the two owners, live in the farmhouse and take care of the place constantly to ensure guests the best reception in every season. 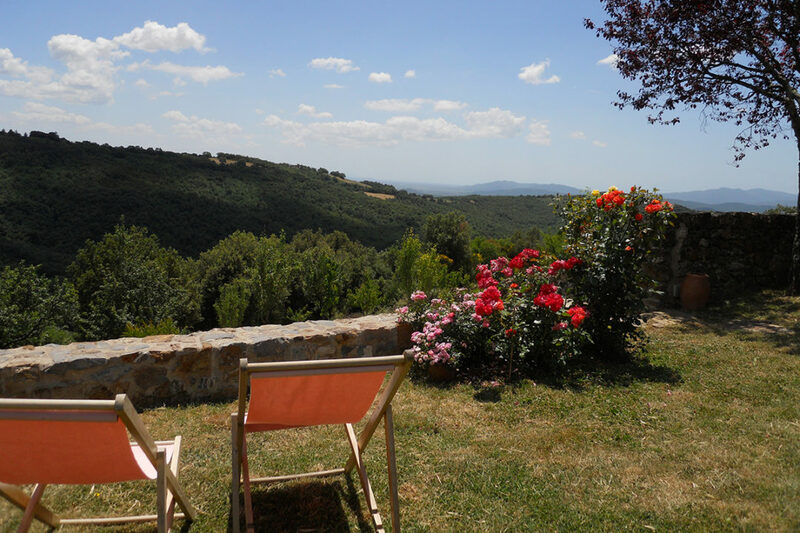 The centuries-old farm is articulated as a small and charming village where the view extends from the hills of the Alta Maremma to the Tuscan sea, on the horizon. Guests are guaranteed an authentic stay, quiet and well-being. Nocini di Maremma is in an ideal position for naturalistic, archaeological and eno-gastronomic excursions in the Alta Maremma, Tuscany. Nature and Relaxation are hosts throughout the ancient village, in our Garden you will surely find a corner that is closer to your idea of paradise. The spectacle of nature … of music and companionship. Children have plenty of space to play, between the veranda and the well-kept garden. The four-legged friends are welcome and can accompany guests on long and pleasant walks along the paths, immersed in the peace of the woods that surround the farm. The oven room is definitely the favorite of our guests and often becomes a cooking workshop for those who want to test themselves. The owners Antonietta and Simonetta love this place and have skillfully and passionately restructured the Podere Nocini di Maremma, keeping intact the warm rural atmosphere of the village, from which you can admire the splendid undulating panorama of the hills and valleys of Tuscany, dedicated for centuries to cultivation of olive trees. Tonight our guests make pizza, they fell in love with our oven, did you see how beautiful it is? It is original of 1908, once they made bread once a week for the whole country, now we make pizzas and focaccia. We call it “winter living room” because the fireplace is inviting especially in winter but it is the votive relaxation area in winter as well as in summer. The atmosphere of our country house creates harmony between interior and exterior. The nature around the Podere Nocini always reserves great surprises in all seasons of the year. With their family hospitality, Simonetta and Antonietta welcome guests in every season of the year: the farm is also open in the winter season and offers the treatment of bed and breakfast. Those who want to taste the local cuisine can book a dinner at the farm: the specialties of the farmhouse are cooked with love and prepared with vegetables grown in the garden and extra virgin olive oil produced in the farm. For our guests, a cozy room to consume a rich and genuine breakfast. On the ground floor of the Podere Bianco, there is the “room” where you can have breakfast and watch TV in front of the lush garden. Adjacent to the “room” there is a well-equipped kitchen available to guests. The small kitchen has a fridge, a dishwasher and a small oven.